I haven't posted for over a month. I didn't want you all to think I had given up. I have been working away converting models for use in the game. The first level overall layout is complete. It needs some aesthetic improvements, mainly on the ground textures but it is getting there. 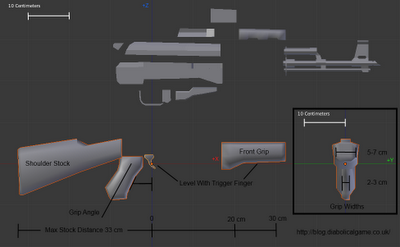 I got to a stage where I needed to add some weapon pickups so I need the weapon models. I may have mentioned previously that finding pre-made models in a SciFi style is quite difficult. 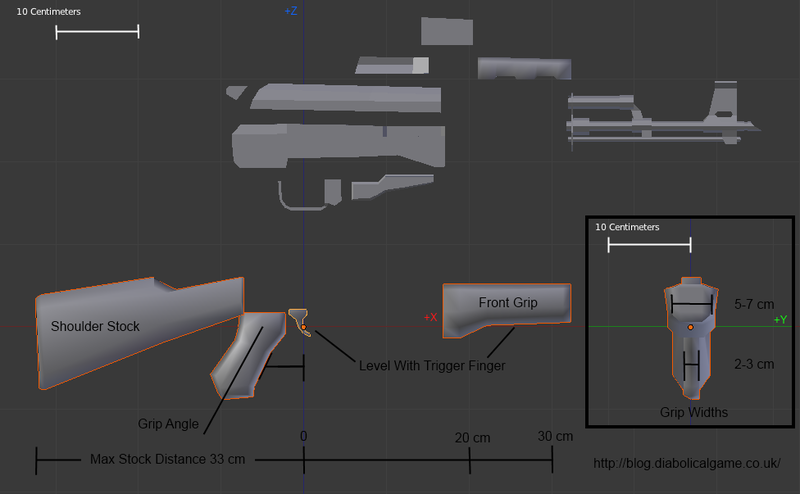 I found these weapons for use in the Torque 3D engine by Garage Games. The style is ideal for Diabolical but all the weapons have to be at the correct scale and orientation and the grips have to be in the right places to line up with the animations. There are also some bits used by the Torque 3D engine that I do not need for my game engine. 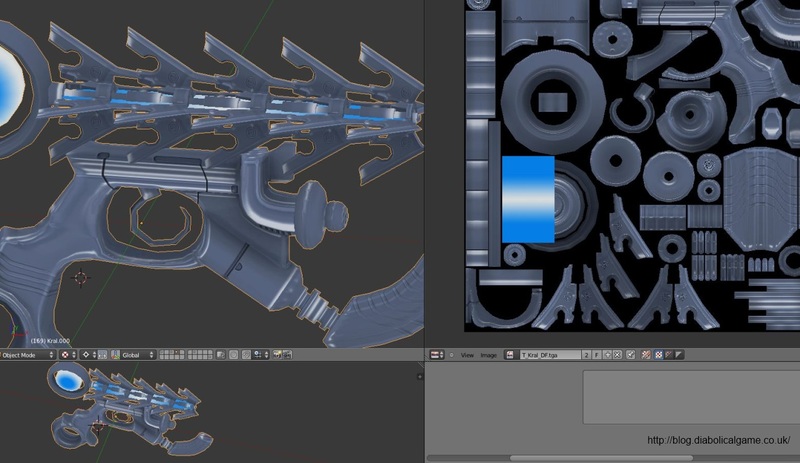 Nearly there with these weapons then I need to add the particle effects and get them in the game.